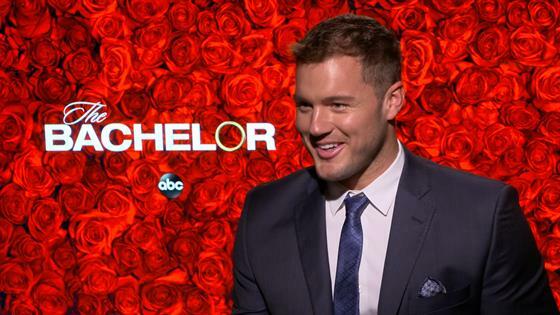 Colton Underwood: "I Don't Know If I'm Engaged Yet"
Colton Underwood loves a good awkward moment. The Bachelor star sat down with E! News to discuss the rest of his season of the ABC reality show and revealed the nitty-gritty of making the show, including what it's like to shower all day, and all about awkward dates. "There's always awkward moments. I wouldn't say there's any fully awkward dates, I think you saw that play out with the Hannah B. date. Right off the bat, I thought I was picking somebody who really had everything to not make it awkward and there was still the awkwardness, especially in the desert and in the hot tubs. There's going to always be those awkward moments and it's all about how you handle it," Colton told us. "I, personally, I don't mind awkward moments. I don't mind sitting in awkward silence or staring at somebody when we know it's awkward, just to see how they react. You really get to see that side of their personality. And for me, that was one thing that I wanted coming out of this, I wanted to really get an understanding of who they are as a person. So, seeing them in an awkward moment, seeing them in a happy moment, a sad moment, I think it was really important for me to see how life would be outside of the show," he continued. As for whether or not those sad/awkward/happy moments resulted in an engagement, Colton isn't spilling the beans. "I just think, you know, overall the experience of going through this season—for me, 1. I wouldn't want to spoil it for people, but 2. There's been a lot of ups and downs. I sort of want to take the viewers and everybody on that ride with me. I wouldn't want to spoil it for anybody," he said. Click play on the video above to hear more from Colton about all those shower shots, Caelynn's emotional reveal and more about The Bachelor.